The ocean water pool at Burleigh Heads provided a safe swimming spot for holidaymakers and locals alike. 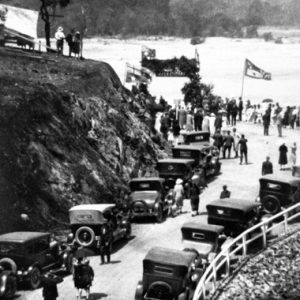 Burleigh Heads, with its protected north facing beach cove, strewn with boulders, provided reasonably safe bathing and surfing conditions for residents and holidaymakers on the former South Coast and was an excellent location for a rock pool for sea bathing. 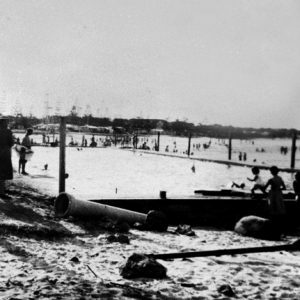 As early as 1935 the idea of a pool constructed of rocks at Burleigh Heads had been proposed to the Nerang Shire Council. In 1943 Jim Cavill applied to the Council to lease an area of about half an acre fronting Goodwin Terrace to establish a swimming pool and aquarium, but the facility did not go ahead. 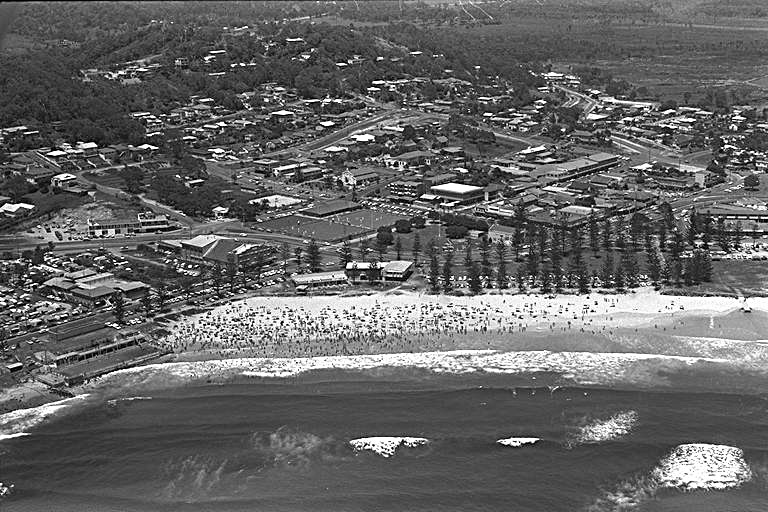 In 1950 the President of the Burleigh Heads Surf Lifesaving Club, Tom Boast, spoke to the local newspaper and repeated his earlier suggestions that the Council build an ocean rock pool similar to those constructed at surf beaches of Sydney. 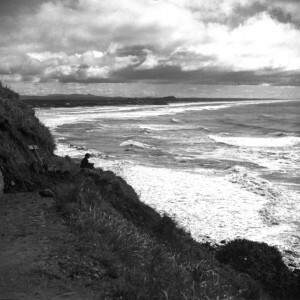 When conditions were favourable a naturally occurring lagoon appeared in front of the Surf Lifesaving Club. This was a popular swimming spot for families with young children. Mr Boast wished to build a permanent swimming enclosure where families could enjoy bathing in a secure environment irrespective of the time of year. By illuminating the pool in the evenings, it would also offering the only after dark swimming enclosure in the region. This project was never realised. 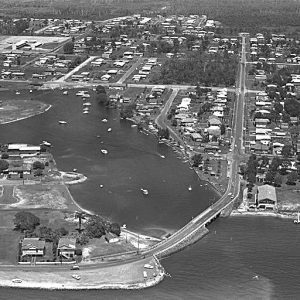 In April 1953, Jack Evans, a well-known shark catcher, fisherman and beach inspector, asked the Burleigh Heads Progress association for moral support to build a public swimming pool to Olympic standards at Burleigh Heads beach. 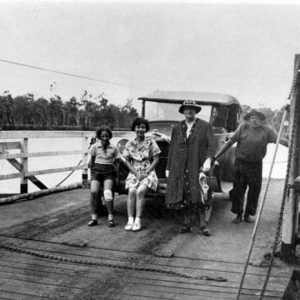 Support was provided and in May 1953 he applied to the South Coast Council for permission to build an Olympic Pool at Burleigh Heads. 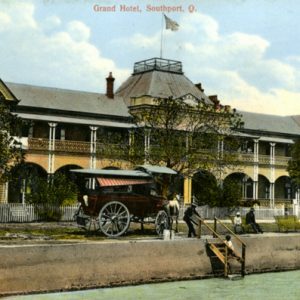 The pool was to be built close to the foreshore and adjacent to the surfing beach along Goodwin Terrace. 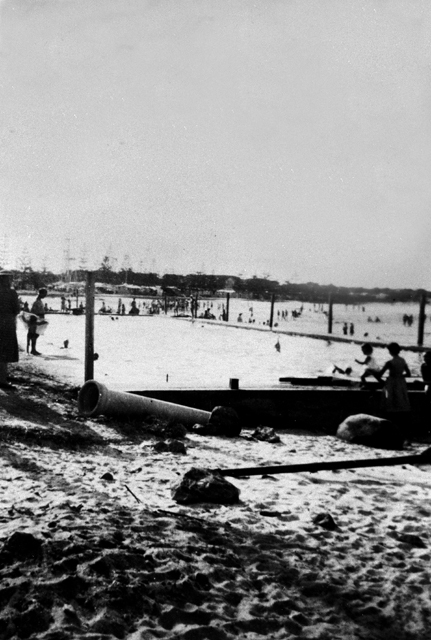 The swimming pool at Burleigh Heads, 1953 – 1954. Photographer unknown. 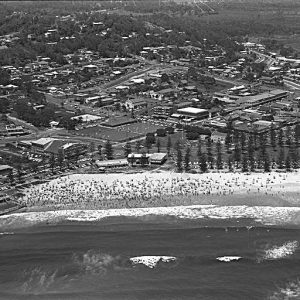 Ariel photo of Burleigh Heads, circa 1970s. Photographer unknown. 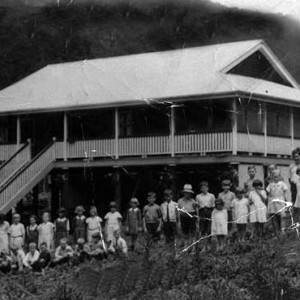 At this time Jack Evans was the lessee of the Burleigh dressing pavilion and was considered well placed to build and operate the first Burleigh Heads swimming pool. The pool was reported to cost between £7,000 and £10,000 and was 40 feet wide and 50 metres long with a depth of 8 feet to 3 feet, 3 inches. The intention was to fill the pool during high tides and pump water when required. Construction commenced on 12 August 1953 and it opened for business on 30 December 1953. As more people used the facility, a competitive swimming club was formed at the pool in 1954. The new ocean water pool provided a safe swimming spot for holidaymakers and locals alike. A year later in 1954 a devastating cyclone hit the region and while much damage was suffered, especially to the nearby skating rink, the pool survived. In 1987-88 the old pool was replaced by a new swimming centre. Longhurst, R. The heart of paradise : the history of Burleigh Heads. Gold Coast : Gold Coast City Council, 1991. Gold Coast Bulletin (Southport, Qld.) 19 Jun 1987, p. 20.